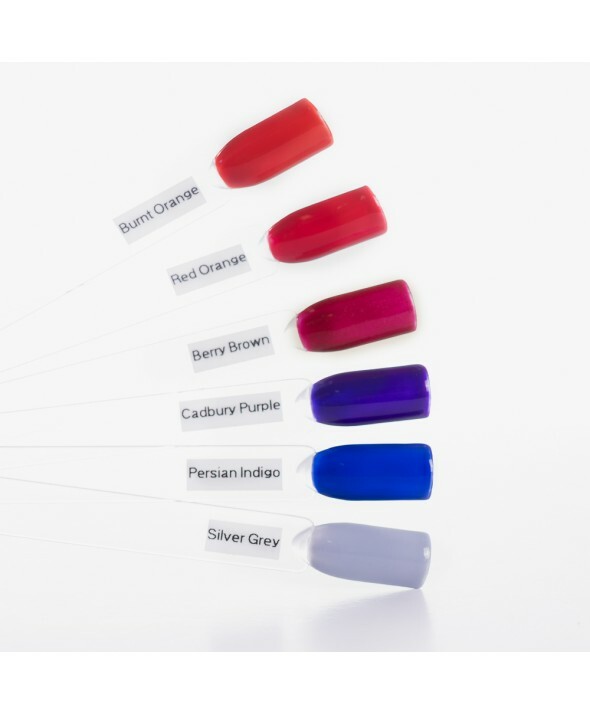 Gel Polish Colours are applied on a layer of Base/Top Gel Polish. Always seal the colour with Base/Top Gel Polish for a high sign. No Top Coat needed. Description: Gel Polish is a highly pigmented per-mixed gel. Advantages: Durable, thin, easy to apply, self-leveling does not wear off like ordinary Nail Varnish and leaves the nails with a high shine. Semi permanent gel polish that lasts 2-3 weeks compared to Nail Varnish that lasts 2-3 days. Can be easily removed and changed to a new colour. Care: The product is sensitive to light and air. When planning your workstation, keep these facts in mind e.g. do not work close to or in front of a window. Cover big windows with blinds or curtains and a UV protection window tint. Make sure that your working- or study lamp does not contain a halogen globe. Transport: When transporting the Gel Polish place the gel in the boot of your car or carry the gel in a Vanity Case or hand bag away from sunlight or UV rays. Storage: Clean the neck and grooves of the gel bottle and store in a cool, dark place, away from heat and all types of light.